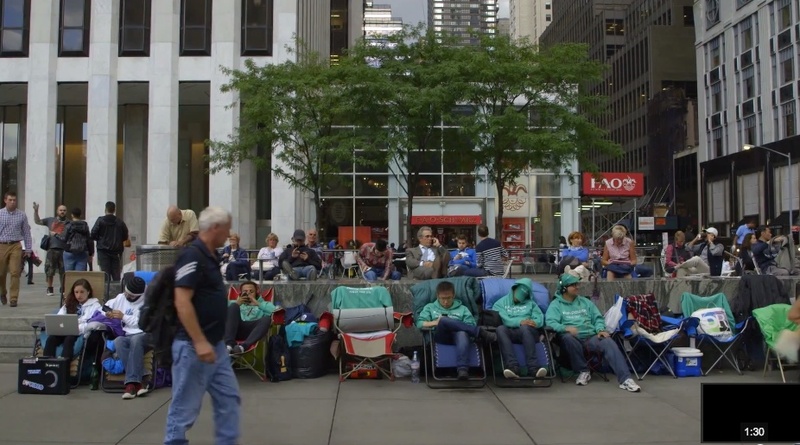 Brilliantly taking advantage of the First World Problem of waiting in line to get the new iPhone, this video for the National Coalition of the Homeless both pokes fun and sends a strong message about sleeping on the streets. Some people waiting for the new iPhone have slept on the streets for days. They will all go home September 19th. But 600,000 homeless American's will not. The video urges people to text "NCH" to 85944 to donate $10 to the National Coalition for the Homeless. Make sure that's the first thing you do right after you unbox your new iPhone in the comfort of your own home. While parts of the video seem staged and contrived, the message is solid. Our FIrts WOrld Problems pale in comparison to real problem.